Accountability is critical to every project’s success. Accountability does not mean a project manager must babysit, micromanage or browbeat people to get things done. Such tactics cause strife and animosity toward the project manager. Rather than being the only person holding people accountable, the project manager empowers the entire team to uphold the project’s accountability. While the project manager has the important responsibility of establishing an environment of accountability, project team members have the responsibilities to hold themselves and each other accountable. Instead of the project manager going it alone on accountability, the entire team participates. The project kickoff meeting is a time to get the project team excited about the project and to lay out the big picture of why the project is needed and what goals are to be accomplished. Amidst all the rah-rah, the kickoff meeting is when the project sponsor and project manager set their expectations for how the project is going to run. Setting accountability as a foundational principle of the project is critical. The project sponsor and the project manager should make their expectations clear at the kickoff meeting. The project sponsor should make two points about accountability. First, he or she will hold the project manager accountable, and second, the project manager will hold everyone else accountable. Building upon these points, the project manager says that while the project sponsor holds the project manager accountable, accountability does not stop there. The project manager expects team members to hold him accountable as well. Additionally, the project manager expects team members to hold each other accountable. Calling out one another is encouraged as long as all team members maintain professionalism and respect toward others. These statements establish a clear system of accountability. The project manager is ultimately responsible for the project’s success, but to succeed, the project manager expects everyone to be accountable and to hold each other accountable. Projects almost always include interdependent tasks. Some things need to happen in sequence to make the project successful. As a project manager lays out the details of a project to the team, the project manager should be intentional about highlighting the interconnectedness of tasks. One of the project team members is a professional development trainer who will develop curriculum to deliver to programmatic staff. To develop this training, the rest of the team must make decisions about how the program will function. The trainer holds the team accountable to decision-making timeframes set forth in the charter and work breakdown structure, so she has adequate time to develop the curriculum. Sometimes tasks run concurrently. It may happen out of necessity or in the interest of efficiency. After the tasks are completed, their work products are put to use in a subsequent task. The accountability structure works as in the example above. Those working on the subsequent task hold accountable those working on the preceding tasks. By the project manager showing team members how tasks relate to one another and how each team member needs to do good work for the benefit of other team members, the project manager incentivizes team members holding one another accountable. If one team member cannot start a task until another team member finishes a preceding task, the dependent team member has a vested interest in the other team member’s success and will hold that team member accountable for timely and high-quality performance. 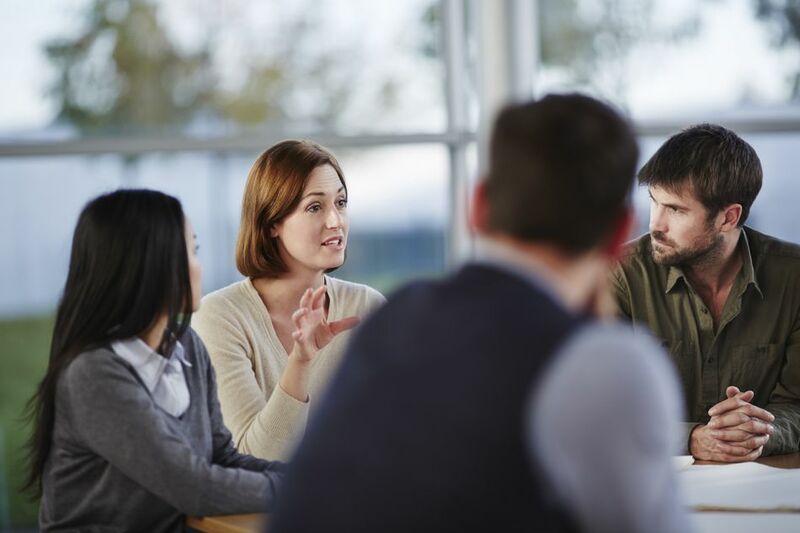 Project managers hold team meetings for a variety of reasons. One reason is to determine the next steps based on how the project has progressed. When possible, things should go according to plan, but when unexpected issues come up, they need to be handled. The project manager can take care of many but not all. No matter who agrees to handle an issue, the team member who takes on an action item should make a public commitment. The commitment doesn’t have to be some formal affair, but everyone should know what is expected. When someone agrees to an action item, the project manager should make sure to capture exactly what is to be done and by when it should be completed. The action item should be documented in meeting notes or in an action items log. Different project management philosophies do this differently. The key is to write down action items for future reference. When team members make commitments, the entire team must be able to rely on the successful fulfillment of those commitments. Writing down those commitments is great, but if no one ever follows up on action items, team members will believe those commitments do not matter. Why should they follow through when no one asks if they did? Just as the commitments are made in public, the project manager should follow up on those commitments publicly. It compels people to stick to their word. Public shame is a powerful motivator. The best part is project managers do not have to be the bad guy. Once the project manager has established an atmosphere of accountability, no one is the bad guy because everyone is holding one another accountable. The only time someone is the bad guy is when he or she does not follow through on a commitment. There is no need for the project manager to lambaste someone who doesn’t follow through. The group dynamics will take care of the situation. Peer pressure can work positively. The project manager merely needs to call attention to the action item and let the responsible person speak. From time to time, the project manager may need to ask probing questions about why a commitment was not met, but usually, the responsible person will be forthcoming about mistakes, miscalculations or barriers and will make a new commitment to complete the original action item and possibly to atone for any lapse in performance. A project team member’s poor performance is an issue project managers must deal with swiftly and diplomatically. If other project team members see poor performance being tolerated, their motivation will dip, and their performance will likely decline accordingly. However, project managers cannot be buzzsaws cutting down poor performers when they don’t meet expectations. It is a balancing act between handling things quickly and handling them humanely. Poor performance does not go away by itself. It cannot be allowed to linger, yet project managers must afford poor performers time to correct their behavior once it has been brought to their attention. If handling poor performance one-on-one does not work, the project manager must escalate the issue to the team member’s supervisor. If that fails, the project sponsor will need to step into the situation. Addressing one-on-one, escalating to the supervisor and escalating to the sponsor is the best order of handling poor performance by a project team member. Skipping a step could alienate those involved and ultimately waste time. Before taking an issue to the project sponsor, a project manager should exhaust all other options. In the case of poor performance, this means addressing the situation one-on-one and then appealing to the team member’s supervisor. The project manager should be specific with the project sponsor about what the project manager recommends the project sponsor do. If the project manager wants the team member counseled by a second line manager, the project manager should say so. If the project manager wants the team member replaced, the project manager should make such a request. The project sponsor needs options and the pros and cons of each option. How Are the CBAP and CCBA Both Similar and Different?